Experts have long maintained that advances in treatment have been limited partly because sickle-cell disease is concentrated in less affluent minority communities. In a half-dozen clinical trials planned or underway, researchers are testing strategies for correcting the problem at the genetic level. Already a handful of the enrolled patients, who have endured an illness that causes excruciating bouts of pain, strokes and early death, no longer show signs of the disease. Among them is Brandon Williams, 21, who lives with his mother in Chicago. 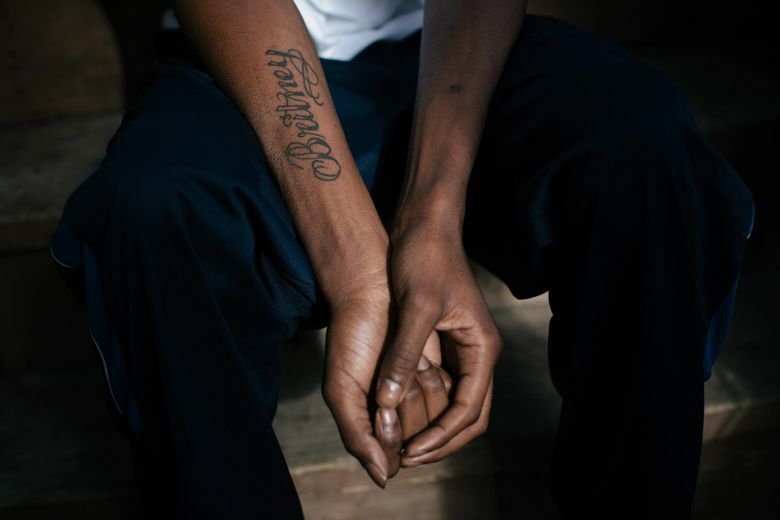 Because of his sickle-cell disease, he had suffered four strokes by age 18. The damage makes it hard for him to speak. His older sister died of the disease. Following an experimental gene therapy, his symptoms have vanished. Life has taken a sharp turn for the better: no more transfusions, no more pain, no more fear. “He said, ‘Mom, I think I want to get me a job,’” said his mother, Leuteresa Roberts. It is still early in the course of these experimental treatments, and it is likely to be at least three years before one is approved. Researchers hope the effects will last, but they cannot be certain. “We are in uncharted territory,” said Dr. David A. Williams, chief scientific officer at Boston Children’s Hospital. At the moment, the only remedy for sickle-cell disease is a dangerous and expensive bone marrow transplant, an option rarely used. An effective gene therapy would not be simple or inexpensive, but it could change the lives of tens of thousands of people. “This would be the first genetic cure of a common genetic disease,” said Dr. Edward Benz, professor of medicine at Harvard Medical School. It also would mark a turning point for a large community of underserved patients. Most of them have African ancestry, but Hispanics and those with southern European, Middle Eastern or Asian backgrounds are also affected. “Having tried for a number of years to raise philanthropic money, I can tell you it’s really hard,” said David Williams. An estimated 100,000 people in the United States have sickle cell disease. Worldwide, about 300,000 infants are born with the condition each year, a figure projected to grow to more than 400,000 by 2050. The disorder is most common in sub-Saharan Africa, where an estimated 70 percent of children with it die before adulthood. In sickle-cell disease, blood cells stuffed with hemoglobin are distorted into sickle shapes. The misshapen cells get stuck in blood vessels, causing strokes, organ damage and episodes of agonizing pain — called crises — as muscles are starved of oxygen. Children usually return to normal between crises, but teenagers and adults may suffer chronic pain. The misshapen cells don’t survive long in the blood — 10 to 20 days, compared to the usual 120 days. Patients may be severely anemic and prone to infections. Daily life can be a challenge. Many adults with sickle-cell disease have no health insurance, especially in states that did not expand Medicaid, noted Dr. John Tisdale, a senior investigator at the National Institutes of Health. Employment can be difficult because the disease is debilitating. Yet many who apply for Social Security disability are denied, Tisdale said. They end up at emergency rooms when they are in crisis. And treating the disease, with its complications, is expensive: annual costs per patient are estimated at $10,000 a year for children and $30,000 for adults. Those with the disorder go in and out of hospitals. Roberts knows this cycle all too well. 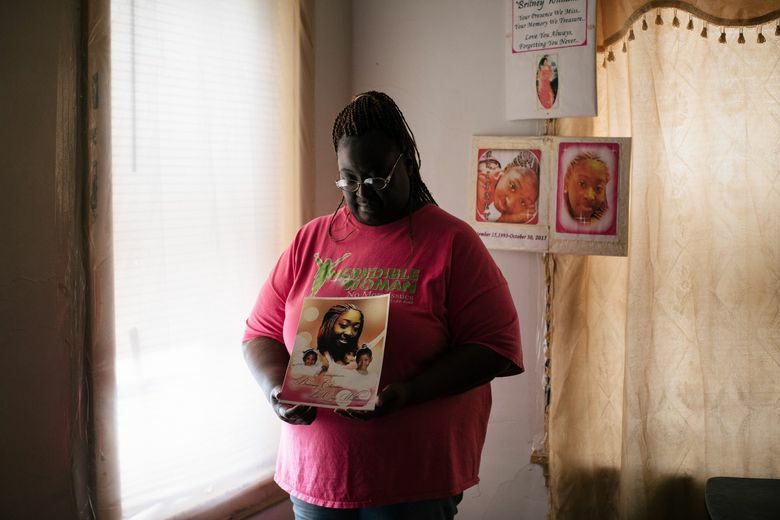 Her daughter, Britney Williams, had sickle-cell disease. At 22, she went into the hospital during a crisis and died, leaving behind a baby daughter. Roberts’ son, Brandon Williams, was devastated and terrified. He told her he had suffered too much, and his big sister’s death brought home to him the fact that his life, too, could end at any moment. He wanted to stop the monthly blood transfusions that were easing his symptoms. He wanted to go ahead and die. Then Dr. Alexis Thompson, a sickle-cell specialist at Northwestern University, told Williams that he could join a new study of gene therapy that might help. There were no guarantees, and there was a chance Williams could die from the treatment. Williams was enthusiastic, but his mother was filled with trepidation. In the end, she decided “we’ve got to try something,” she recalled. Williams was among the first to get one of the experimental gene therapies, in which researchers attempted to give his immature blood cells a new and functional gene. Roberts and the family pastor watched as the treated cells dripped back into his veins. In the 1980s, when researchers first began thinking of gene therapy to correct genetic disorders, sickle-cell disease was at the top of the list. In theory, it seemed straightforward — just one tiny change in a single gene led to a lifetime of misery and an early death. Every patient had exactly the same genetic mutation. To cure the disease, all scientists needed to do was to fix this one genetic error. But it was not so easy. Among the many problems that plagued gene therapy research, there were ones specific to sickle-cell disease. Hemoglobin genes are only active in the precursors of red blood cells, which are derived from bone marrow stem cells, and the genes are only active for about four or five days until mature red blood cells form, Benz said. Yet when they are active, the genes direct the cells to make enormous amounts of hemoglobin, so much that the red blood cell is like a bag holding gelatin. That left researchers with a problem. “How do you manipulate a gene, or put a gene in, so it is expressed only in those cells and at high levels?” Benz asked. In the new trials, subjects must have immature blood cells — stem cells — removed from their bone marrow. The stem cells are genetically modified, and then infused back into the patient’s bloodstream. The goal is for the modified cells to take up residence in the bone marrow and form healthy red blood cells. Scientists are testing three methods for modifying stem cells. In the first, a form of gene therapy, a virus is used to insert a viable copy of the hemoglobin gene into the stem cells. Until recently, the viruses had a limited capacity to carry genes, and the hemoglobin gene simply would not fit. Only recently have scientists found viruses that can do the job. The second approach starts with the fact that the human genome can make two kinds of hemoglobin: fetal hemoglobin, active in the fetus but shut off after birth, and adult hemoglobin. Some researchers are trying to block the gene that turns off fetal hemoglobin and turns on adult hemoglobin, allowing patients with sickle-cell disease to produce fetal hemoglobin instead. “We’ve known for decades that hemoglobin is different in a fetus — it doesn’t sickle, and it works as well as adult hemoglobin,” said Dr. Stuart Orkin, a researcher at Harvard University who found the hemoglobin switch. A third strategy depends on gene editing with CRISPR, a tool that lets scientists snip out parts of genes and paste in new sections. Several groups are doing early studies with CRISPR. With recent advances, all three approaches now seem feasible. Farthest along is a new iteration of gene therapy to produce fetal hemoglobin, currently in trials conducted by Bluebird Bio, a biotech company in Cambridge, Massachusetts. The company reported results for four patients of nine in the study who had been treated at least six months earlier. All four produced enough normal hemoglobin that they no longer had symptoms of sickle-cell disease. Bluebird is now planning a larger study, in consultation with the Food and Drug Administration, that will enroll 41 patients, all of whom will get gene therapy. The company hopes to finish the study and get approval in 2022. Following recent scientific advances, the NIH has launched an initiative called Cure Sickle Cell to speed progress. It will bring “significant new money,” said Dr. Keith Hoots, a division director at the institutes, although the total has not yet been determined. For many of the pioneering patients in these trials, the results have been remarkable. 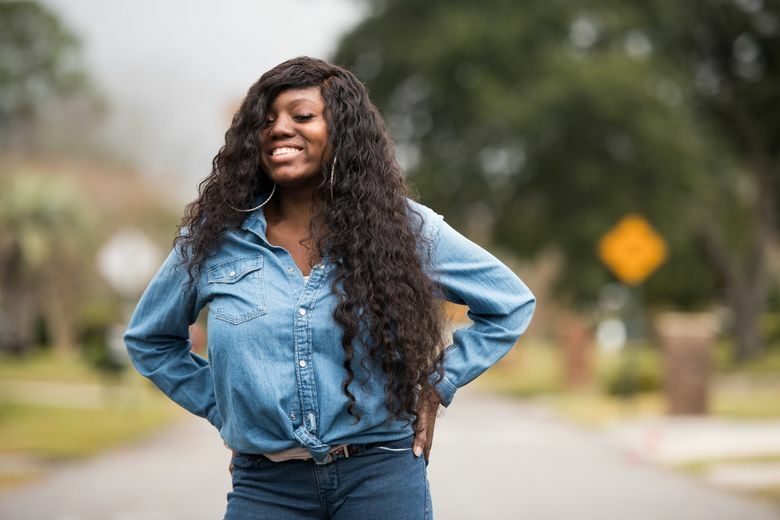 Carmen Duncan, 20, of Charleston, South Carolina, had her spleen removed when she was 2, a result of complications from sickle-cell disease. She spent much of her childhood in and out of hospitals. Monthly blood transfusions helped, she said, but they were onerous. Then she entered Bluebird’s gene therapy trial. Today, doctors say, she no longer has signs of sickle-cell disease. She had longed to join the military but had been barred because of her condition. Now she plans to enlist. Manny Hernandez, 20, was the first patient in a trial at Boston Children’s Hospital in which researchers are attempting to restart production of fetal hemoglobin. It worked: Doctors say he no longer has the disease. And Williams? He wound up in the gene therapy trial run by Bluebird. His mother will never forget the call she got from Thompson, saying her son was producing enough normal blood cells. 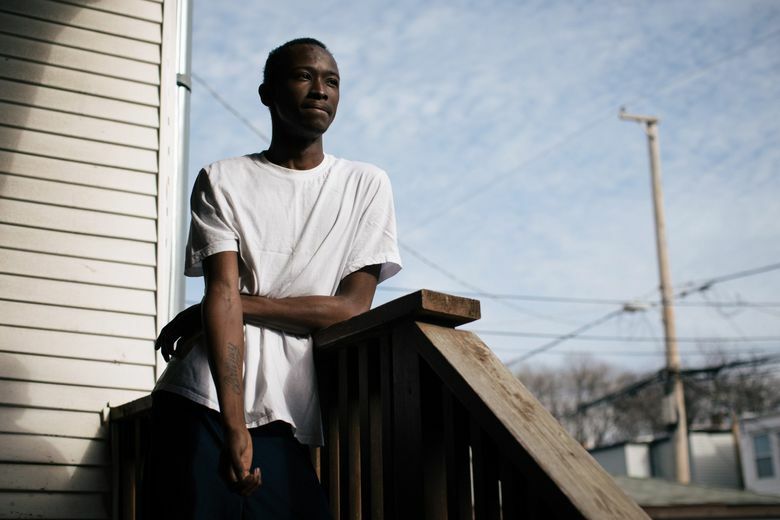 For him, too, sickle-cell disease has disappeared. “I was like, yes, yes, thank you Lord,” Roberts said.